The Lower Lea Valley experienced rapid change in preparation for the 2012 London Olympics. Once a centre of manufacturing, most of the industry has now gone. What remains are a series of transitory landscapes which are neither industrial nor natural, and of course within the wider landscape there is the Queen Elizabeth Olympic Park. Searching for historical and cultural traces within the Olympic Park seems a futile exercise, as most have been erased. The odd tree and bridge are all that remains. The River Lea provides some sort of orientation, but over time, it had become increasingly difficult to make the connection between what was there before and what is there now. Since the July 2012 games the Olympic Park is once again in a state of flux, as it is being prepared for a partial re-opening in July 2013. 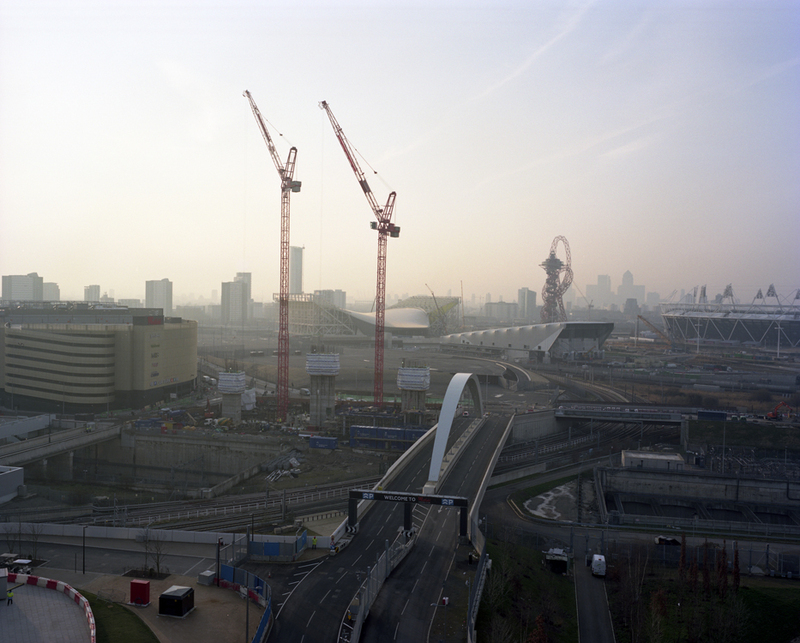 This photograph is part of commission for the Telegraph Magazine that documents the process of change within the Olympic Park since late 2012. The photograph will then become part of a larger project on the changing landscapes of east London. The William Morris Gallery in Walthamstow has just won the Art Fund’s Museum of the Year Award, along with £100,000 prize money. Equally welcome is the news that the museum is to be the home-coming venue for Jeremy Deller’s exhibition, English Magic, at this year’s Venice Biennale. Both are fully deserved. The lottery-funded restoration of the house and the adjacent Lloyd Park has been a triumph, the beautifully conceived refurbishment of the former by Pringle Richards Sharratt Architects. No wonder the place is now so well-visited. Friendly staff too – what more could you want? As many people know, it might not have happened this way. Some years ago local politicians decided to run-down the museum, which they claimed was no longer culturally relevant. But the tide turned. Having realised their short-sightedness, other colleagues did a political U-turn and eventually a successful lottery bid was put together. The rest is now history. There is a lot of new interest amongst younger artists in Morris, the Pre-Raphaelites and the wider arts and crafts movement, yet for some people Morris’s Walthamstow origins are a bit of an embarrassment. They prefer to see him as a dreamer of the upper Thames, a backwater landscape of water meadows and villages built of hand-dressed stone. Having been schooled at Marlborough, then a student at Oxford University, he set up house at Kelmscott Manor in the Cotswolds before finally moving to a terraced house on the Thames at Hammersmith, still safely upriver. News from Nowhere, his famous utopian fantasy, is a dream of some kind of return to medieval courtly life and social relations, set in this slightly ‘wind in the willows’ landscape. Although physically and spiritually Morris lived in the upper reaches of the Thames, his political influence was carried firmly east. His lectures on labour, arts and life, given in Hoxton, Hackney, and Victoria Park, were amongst his most important political speeches, lectures and essays. More significantly his influence encouraged architect W.R.Lethaby to establish London’s pioneering Central School of Arts and Crafts in 1896, which became a direct influence on the setting up of the Bauhaus School in Dessau in 1919, and hence to the rise of the modern movement. Surprisingly, the controversial French writer, Michel Houellebecq, in his most recent novel, The Map and the Territory, devotes substantial space to declaring Morris the towering intellectual figure of the 19th century. The success of the Walthamstow restoration may mean that Morris’s formative years, growing up near Epping Forest and the River Lea, may help re-position his life and ideas. He played as a child in Epping Forest, and identified strongly with the Peasants’ Revolt and its leader John Ball, about whom he wrote one of his romances. ‘I come not from heaven’, Ball announces at one point in this short novel, ‘but from Essex’. 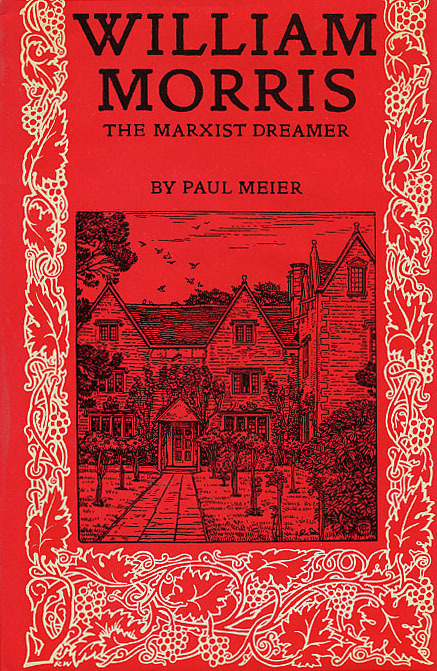 The more Morris is painted as a Romantic who dwelt, as E.P.Thompson once wrote of Morris’s early poetic influences, ‘away from the main channels of life, and towards ever-more secluded creeks and backwaters’, the less we realise how important his political and cultural ideas were on the pioneers of twentieth-century town planning, on modern design and the possibility of a revolution in everyday life. Dagenham (2006) by Jock McFadyen. Reproduced courtesy of the artist. Creekmouth Open Space is, sadly, one of the bleakest parks in London. Located between two vast breaker’s yards off Dagenham’s grim River Road, an endless procession of tipper trucks ferry London’s waste to a shanty-town of yards and depots for breaking up and carting off by barge or container. It was designed to provide a green space in an industrial quarter, but pedestrians are rare in these parts, and few go there. For this reason, paradoxically, it is filled with birdlife, and, as importantly, provides a stunning panorama of the Thames where the River Roding meets the main river close to the monumental Barking Creek Flood Barrier. I was there earlier this week, seeing the sights, and, though depressed by the weather and the neglected park, felt uplifted by the panoramic river view which is now the park’s only redeeming feature. Across the flat, grey river, between Barking Reach and Galleons Reach, lies Thamesmead, and beyond that the rich green skyline of Shooters Hill, Bostall Woods and Lesnes Abbey Woods. Very bosky. Painter Jock McFadyen has made a unique art out of these depressed eastern backlands. His two views of the industrial riverside, Purfleet from Dracula’s Garden (2001) and Dagenham (2006) currently exhibited at the Estuary exhibition at Museum of London Docklands, steal the show, eerily capturing the mysterious quality of these great horizontal skylines in a way no other painter has managed, and to such memorable effect. Jock has kindly given permission to reproduce the Dagenham painting here. The paintings are, to my mind, the modern equivalent of John Constable’s great ‘eight-footers’: epic delineations of land and sky, full of narrative if you look at them long enough. The sheer horizontality of Dagenham only further hints at what has gone forever, or what lies beyond the horizon. Everything seems placid and still, but there is tension and mystery too. The old world has gone but nobody is sure what is coming next.